Singing showdown with Boobsie Wonderland, Neggie, and the guest audience? Only in a comedy bar sitcom! 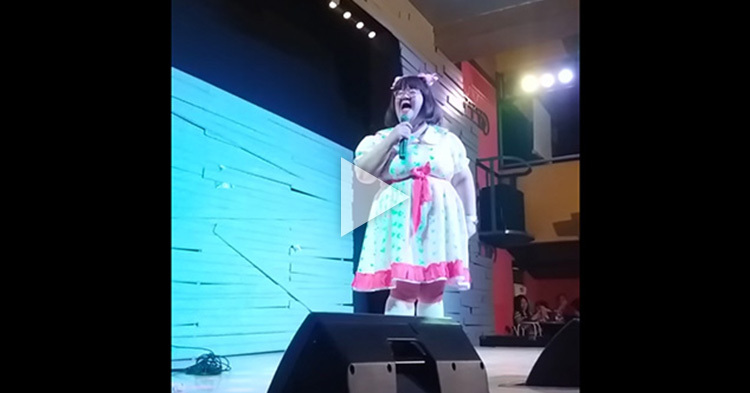 The video started with a guest audience singing Aegis' "Sayang na Sayang" wonderfully that Boobsie joked around and said the way she was singing was like she was challenging someone for a showdown. Boobsie proceeded calling Berna and Jackie, wherein Neggie will host their four-way singing competition. Neggie proceeded telling Boobsie that management heard the girl singing, and said that one will be fired after the night. 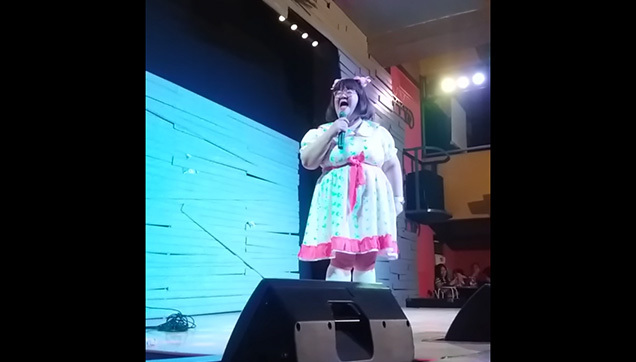 Boobsie then proceeded singing the "Cuppycake Song" but Neggie told her to sing something the kids would understand so she sang her own version of "Bahay Kubo" with a twist! Let’s just say it had lyrics like, "Singtigas ng talong, ipinasok sa mani, hiniga, umiyak kunyari!" The showdown proceeded, with matching cash prize from the audience and they all agreed to sing Beyonce's "Listen". Neggie curated the contest, pointing whose turn it was on the song. Let's just say the audience wanted more and they sang another high-pitched song! Check out the video and watch them showcase their singing talent, and the hilarious skit between Boobsie Wonderland and Neggie!